Pet parents in east central Indiana, we’re here to help make having pets easier. Our services are great for people with multiple pets, farm animals, older pets and pets with medical conditions. We’re compassionate and reliable. Our pet care services are available 24 hours a day, 7 days a week. If you’ve ever had a hard time finding a place to board your dog, we can help. If you’ve ever had to leave work early or leave an event early just to get home and let your dog out to potty, you can now call us. Older pets and pets with medical problems do better in their home and that’s where we come in. We’ve been taking care of pets since 2008 and have hundreds of happy customers! 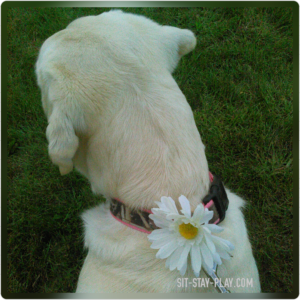 sit-stay-play works with many clients from all walks of life, from Muncie to Indianapolis, and we’d love to be able to help you as well. Contact us immediately at 765-744-5688 or visit this link to complete a pet care request. We’ll email you within 48 hours and discuss your needs. sit-stay-play is the leader for in-home pet care services in the Muncie and Anderson area because we provide high-quality work and pets love us. 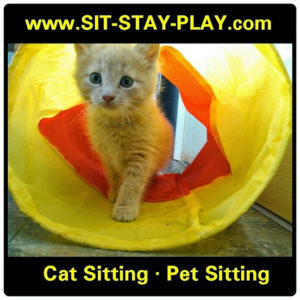 sit-stay-play In-home pet sitting & more.LLC provides a variety of professional pet care service IN YOUR HOME or business, 24 hours a day, 7 days a week. No need to take your pet anywhere, we come to YOU! Our pet care services are great if you’re looking for an alternative to boarding your pet. Services can be scheduled 1 to 4 times per day and we provide fresh food, water, medicine if needed and TLC. For dogs that are crated, we provide a huge relief and represent playtime, freedom and food! Cat sitting only can also be scheduled. We can care for community cats and ferals also. Contact us at 765-744-5688 for more information about this. We can take your dog for a stroll around the neighborhood or along the Cardinal Greenway and encourage good leash manners. We work in retirement centers and help older people walk their dogs when they aren’t able. Our walks can be scheduled as little as once per week or multiple times a day. Consistent dog walking is great for hyper dogs, dogs that need to lose a little weight or for shy, undersocialized canines. If your dog is crated and you work 8+ hours a day, we provide a very necessary service so your dog doesn’t have to hold it all day. Let us do the dirty work! You’ll have more time to do the things you love versus cleaning up poop from your yard. We’ll clean cages, litter boxes, yard or kennels once a day, once a week or as often as you like. 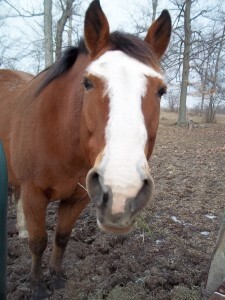 Farm sitting services are available in Muncie, Yorktown, Anderson and surrounding communities. Call 765-744-5688 to set up services. home. We’ll make sure they’re fed, watered, put out to pasture, their eggs are collected and do whatever other job you need done. All dogs can learn new tricks! ‘sit, down, come, stay, wait and heel’ are some commands we teach in our private, individual lessons for our current clients. We emphasize loose leash walking and can help with positive socialization. Topics such as nipping, crate training, resource guarding and separation anxiety can be discussed. We highly encourage all dog parents to practice basic obedience with their dogs because your new puppy or dog can benefit from learning puppy manners. We can take your pet to/from the veterinarian, dog park, groomer or other pre-determined location, saving you time. Pet taxi services are good for people that don’t have transportation or with vehicles that aren’t conducive to transporting pets. Pet taxi services can be scheduled for outside of Indiana as well. Call us at 765-744-5688 to inquire about services. 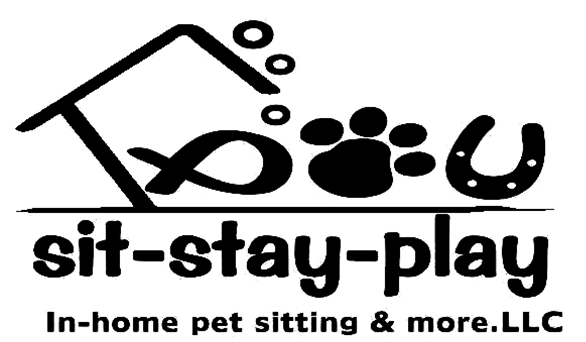 For pets that need a little more TLC, sit-stay-play is here to help! Your pet will be comfortable in their own home and with their familiar routine. 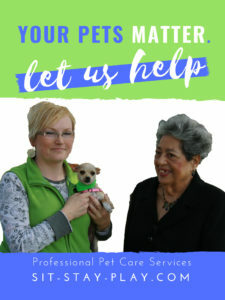 This is a great service for elderly, sick or injured pets. Our pet care services can be scheduled for weddings as well. Want your pet to walk down the aisle with you or carry the ‘Here Comes The Bride Sign’? We can take care of your pet during rehearsal, during the wedding, after the wedding and during pictures if you’d like. This is a highly customizable service. 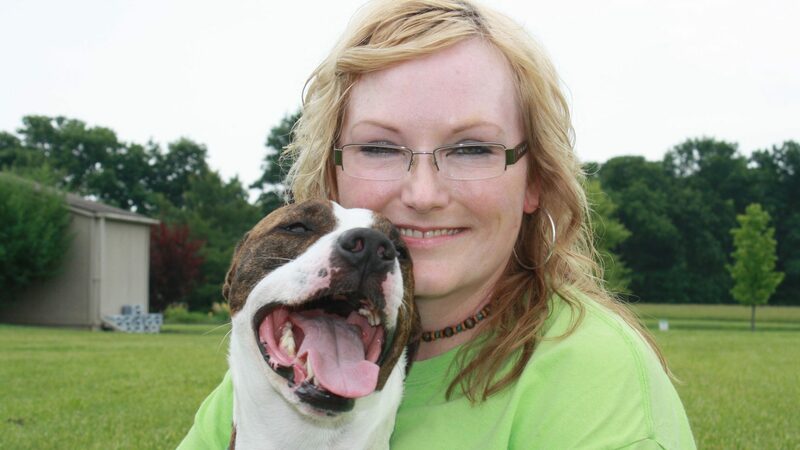 We can even offer pet taxi services and travel with you on the honeymoon to be the dedicated pet care attendant. If your pet is totally pampered and you want him to join you during this special time, we can help. Wedding Pet Care is available in east central Indiana. Let us help during your special day. Call 765-744-5688. We can help you re-home your pet, contact breed rescue organizations or help you find the optimal new home for your pet. Send us very detailed information about your pet, multiple pictures and we can post on our social media platforms as well. P.S. Connect with us on Facebook, Twitter and Instagram!